Here at Food52, we believe in starting the morning off right. Coffee is required, of course, and baked goods are recommended; we've got to fortify ourselves for a day's work. This week in the test kitchen was heavy on the breakfast -- which is just how we like it. Take a look at our morning and, as always, follow us on Instagram for more! Our friend-slash-test kitchen assistant Erin (a.k.a. apartmentcooker) came bearing sweet gifts, as always. 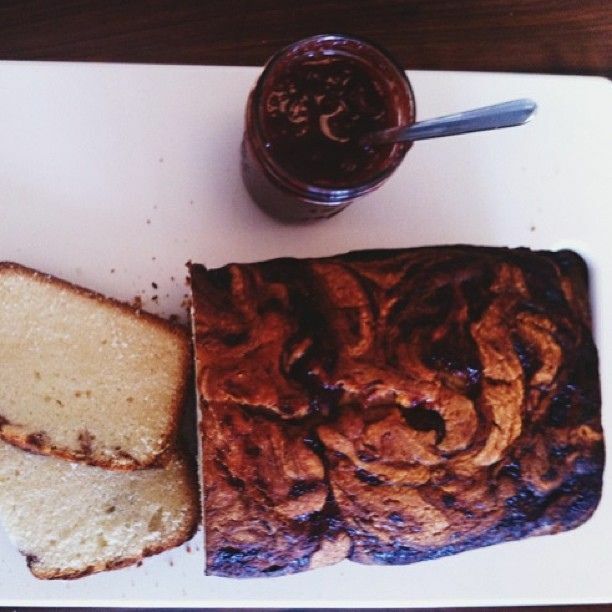 The night before she had casually baked a pound cake swirled with homemade strawberry jam. Friends who bake are the best kinds of friends. 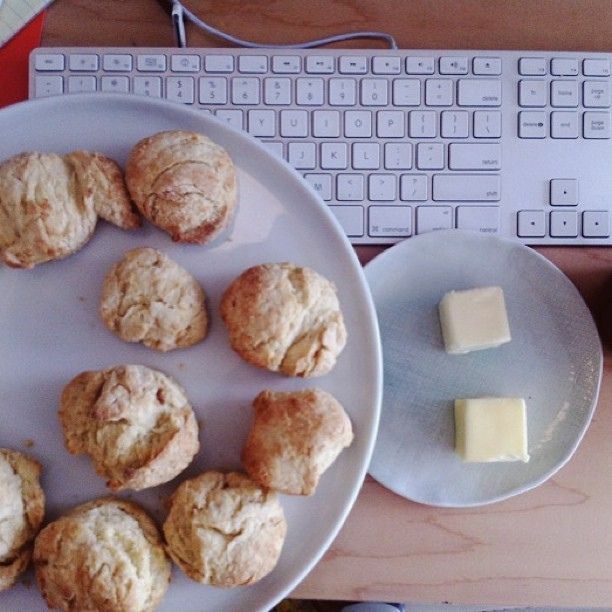 Meanwhile, Christina whipped up a batch of biscuits at the office simply because she had some buttermilk to use up. These are the sorts of things that happen at Food52 HQ. They were perfect, and you can find her recipe here. We stole some of Erin's jam to make them even better. Finally, to center ourselves, we did some yoga. 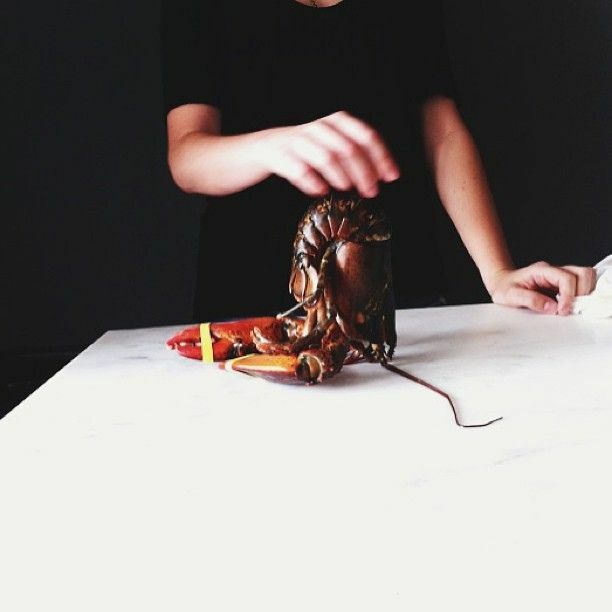 Yes, the lobster participated and yes, he was the most flexible one of all. Tell us: How do you like to start off your mornings?